Hand harvested grapes provide captivating light golden fruity aromas. The wine of choice for appetizers, desserts or any special occasion. Philippe Derouet always wanted to be a winemaker. His father and grandfather were winemakers, but fate intervened to keep Phillipe from taking over from his family. Instead, he became a chartered accountant and worked in the wine industry with vine growers and winemakers. This experience, combined with a childhood spent on vineyards and wineries, helped him become a real expert. However, it wasn’t until he bought Domaine des Chézelles from Alain Marcadet in June 2016 that Philippe Derouet put his expertise into practice. After a careful handover of the estate from Marcadet, Philippe began working with his daughter Aurélie (herself an oenology graduate) to produce the Sauvignon Blanc that made Domaine des Chézelles’ reputation. Domaine des Chézelles has been a stalwart of the Wines Direct list for many years now. 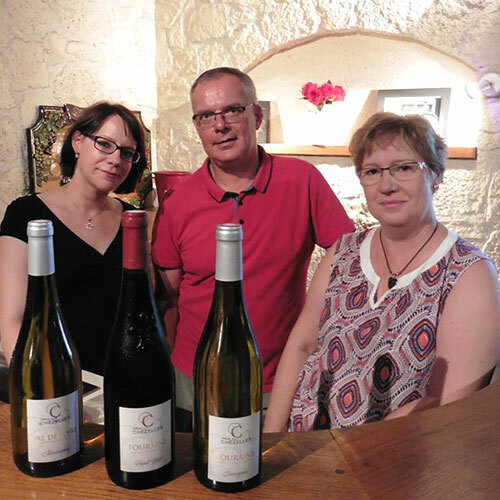 Like Alain Marcadet before him, Philippe Derouet is one of a decreasing number of independent vignerons in Touraine, as many sell out to the big companies and cooperatives. 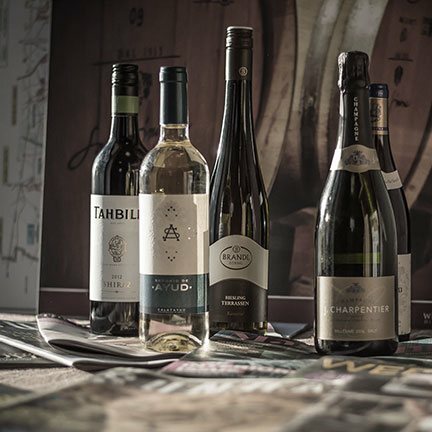 The estate consists of a patchwork of vineyards spanning 24 ha on the sandy limestone slopes along the river Cher, and this lends a mineral character to his wines. Since the 1950s, these vineyards have been preserved by the stewardship of dedicated vignerons, benefitting from successive generations of winegrowing expertise. Philippe also embraces modern research and techniques in order to produce wines of guaranteed quality. The land features a clay–chalk soil, mixed with flint, sand and gravel, while their hillside vineyard receives a southeast to southwest exposure with plenty of sunlight. This is perfect for producing the sweet, ripe fruit evident in Domaine des Chézelles Sauvignon Blanc. "This Crémant de Loire is a real alternative to quality Champagne. Made by the same method, this blend of hand-harvested Chardonnay, Pinot Noir and Cabernet Franc is light and elegant with golden fruity accents and a lingering finish."